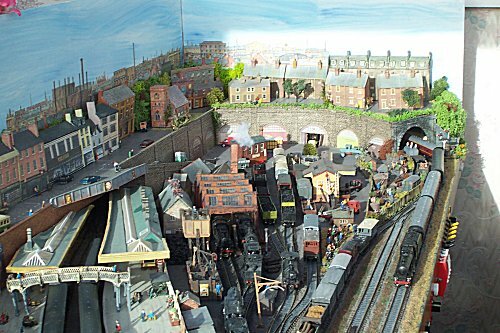 The current Clwydsville evolved from a previous layout measuring 6ftx3ft, but had to be reduced when moving into smaller property. 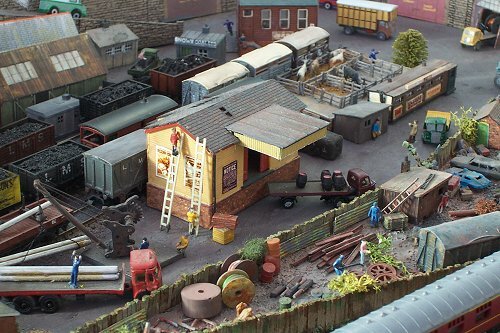 The layout is now 6ftx1ft8ins and is very loosely based on the LMS in the 1930-40�s. It was constructed on the usual ½ inch insulation board on a timber frame. Peco track and their electrically operated points were used throughout. 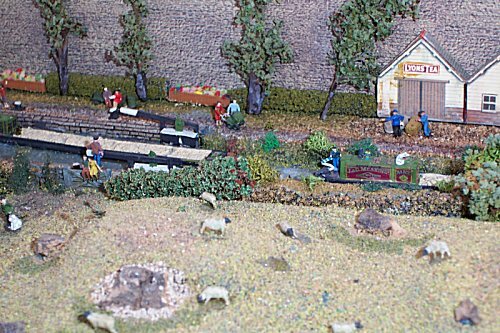 All track work is ballasted and the layout is fully sceniced including several dioramas featuring a farm, scrap yard and section of canal. �Clwydsville� consists of a single continuous oval with passing loops at the front and hidden loop at the rear. 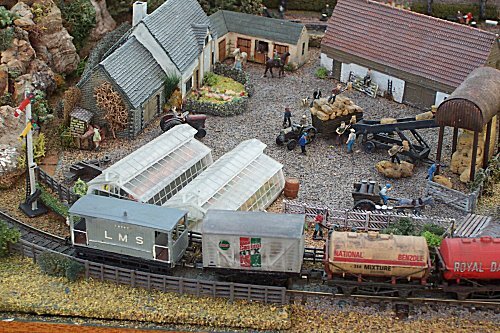 A total of 15 electrically operated points are on the layout, and it is all controlled with a Hammant & Morgan �Duette� controller. �A� controls all the layout with the exception of the station tracks. �B� controls just the station tracks. This arrangement allows the reversing loop polarity problem to be overcome. Locomotive power is entirely steam outline from Peco, Minitrix and Farish. 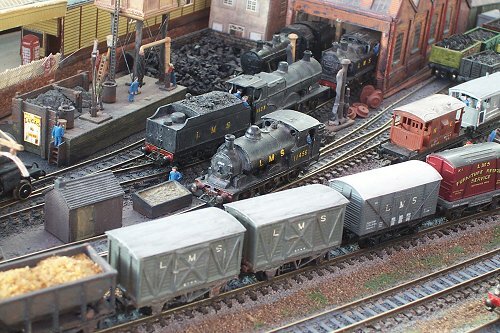 There are 10 locomotives in all, three of which are made up white metal kits on Farish chassis. There are about 12 passenger coaches and about 25 assorted goods vehicles. Most of the locomotives have had their couplings changed from the standard �N� gauge couplings to the Mike Bryant system. 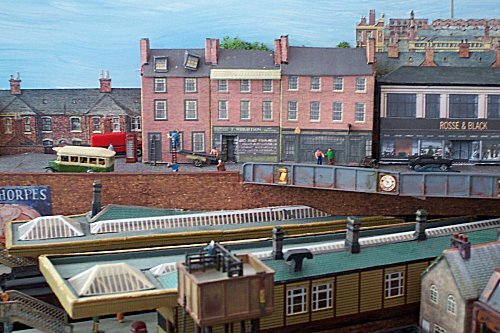 These were purchased from the �N� Gauge Society some time ago and provide much more realistic coupling and uncoupling. The system uses strip magnets placed at strategic locations on the track. 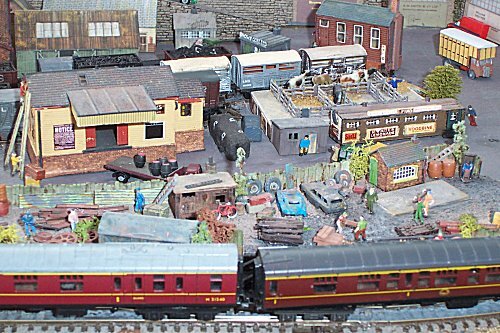 Some of the rolling stock has also been converted to the Mike Bryant system and these are mainly used at the ends of rakes. All the locomotives have foot plate crews and code lamps on their front buffer beams. Unfortunately, old age doesn�t come alone, and due to certain medical conditions I can no longer operate the railway. 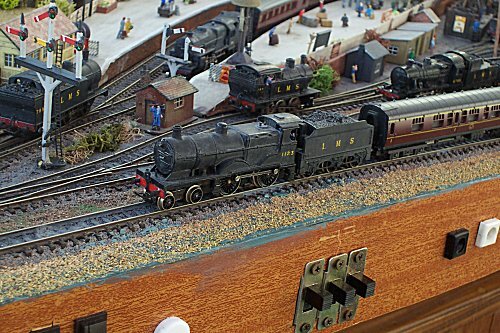 I have therefore donated it to the Rhyl Model Railway Club for them to use as they see fit. Having met numerous members of the Club I have no doubts about Clwysdville�s future. Most probably their �experts� will enhance the layout even more. I wish them well.